BCGRN aims to support a vibrant community through the growing and sharing of food, whether in churches, schools, backyards or balconies. Participants in BCGRN receive resources for their vegetable gardens, including seeds and Toronto grown transplants, and become part of a growing network of gardeners and advocates working to promote urban agriculture within a thriving local food system. Participants in the BCRGN are also invited to get involved in educational and community events that provide additional opportunities to access resources, training and social networks. When Leticia visited Detroit and the Keep Growing Detroit Garden Resource Network, she saw how the sheer number of people involved in Detroit could lead to making real change on food sovereignty and food justice issues. It inspired her to start working on a similar network in the Jane-Finch neighborhood. Projected to launch in May 2016, the Network has already generated a lot of interest and enthusiasm in the community. People are encouraged to become members whether they have a family garden in a house or apartment, if they’re growing food for sale, if they are part of a school or community garden or even if they don’t have a garden at all! Members pay a small fee for membership or volunteer in lieu of a fee. Before becoming the Project Manager at Black Creek Community Farm, Leticia worked in the Jane-Finch neighborhood as a community organizer. Coming to Canada from Ghana at the age of twelve, Leticia was inspired by women like her mother who worked hard to support her children despite barriers. Through the lens of a racialized person, Leticia recognizes and strives to overcome challenges that people of color face, and to support her community. 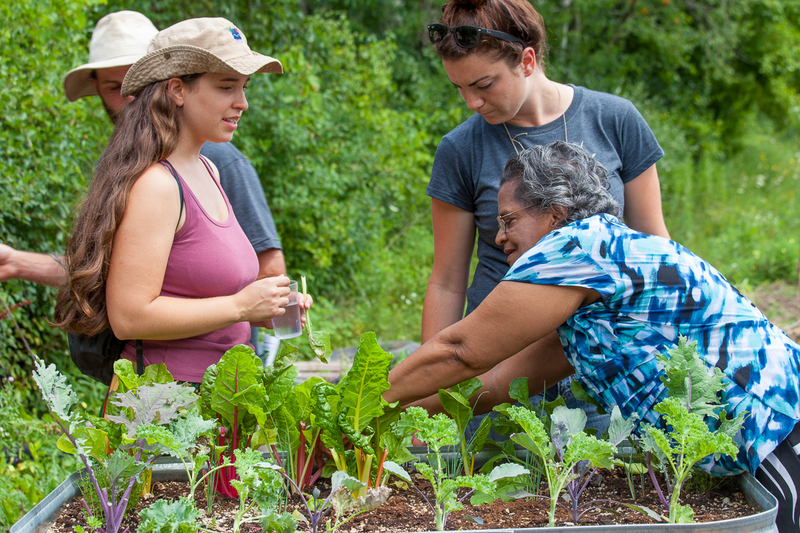 In urban agriculture and the food movement, Leticia found an opportunity to respond to some of the injustices that exist in Canada, including food access, food and policing, food and body image.